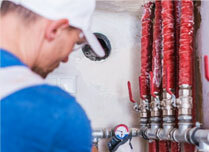 In business under the same family ownership for over seven decades, we've grown to become the gold standard in heating and cooling contractors in the Thumb area of Michigan. Many of our clients have been working with us for decades -- and that's just the relationship we want with you. Exceeding customers� expectations is our goal. 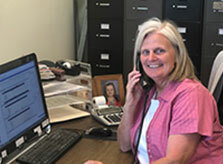 At Jack's Heating and Cooling, customers are the heart of our business and we have been perfecting great customer service for over seven decades. Whether you are looking for a furnace repair or service, quality installation of a Lennox furnace, heat pump, air conditioner or annual maintenance, exceeding customers� expectations is our goal. At Jack's we only use the highest quality equipment and parts in our heating, air conditioning and home generator installations and repairs. To have a job done right the first time, you call in the experts. 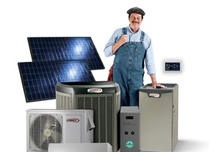 At Jack's we�re passionate about performing quality HVAC repairs and installations. Jack's Heating & Cooling has been serving the Thumb Area since 1947. 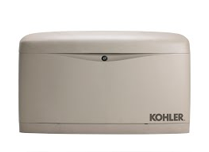 Having a reliable automatic stand-by generator is imperative to ensure your home or business has 24/7 protection from power outages.